These precious deer, also known as the Toy Deer, were hunted to near extinction in the 1950's in spite of the fact that hunting was banned in the 30's. 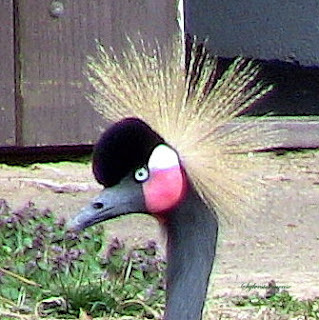 Because of efforts to save these sweet creatures, their status has been raised to endangered. While that allows for a little sigh of relief, it is very little. The remaining numbers vary greatly depending on the source, but 800 was the highest estimate I could find during my research. Some of these beautiful animals literally live their lives in the backyards of Florida Key residents. They have very little fear of man which places them more at risk. Not because the residents intentionally harm them, but because deer and cars do not play well together. 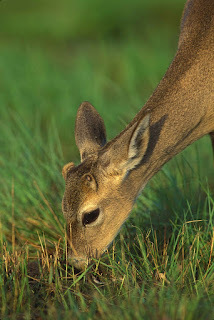 The Toy Deer are so familiar with humans that it is not uncommon for them to eat right out of your hand even though it is prohibited by law. I don't think the deer understand this law and it would be very hard to deny these sweethearts when they look at you with their big doe eyes that bid you to part with your cookie. Diet: Over 150 plants. Mangroves and thatch palm berries make up the most important part of their diet. 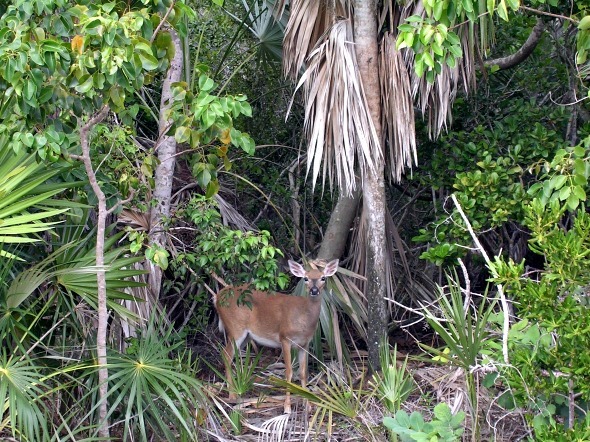 The National Key Deer Refuge was established in 1957 to protect and preserve Key deer and other wildlife resources in the Florida "Keys." The refuge is located in the lower Florida Keys and currently consists of approximately 9,200 acres of land that includes pine rock-land forests, tropical hardwood hammocks, freshwater wetlands, salt marsh wetlands, and mangrove forests. These natural communities are critical habitat for hundreds of endemic and migratory species including 17 federally-listed species such as Key deer, lower Keys marsh rabbit, and silver rice rat." Information about the Key Deer Refuge is directly from National Key Deer Refuge website to ensure accuracy. "A group of citizens dedicated to protecting these endearing creatures." "Established in 1957 to protect and preserve Key deer and other wildlife resources in the Florida Keys."